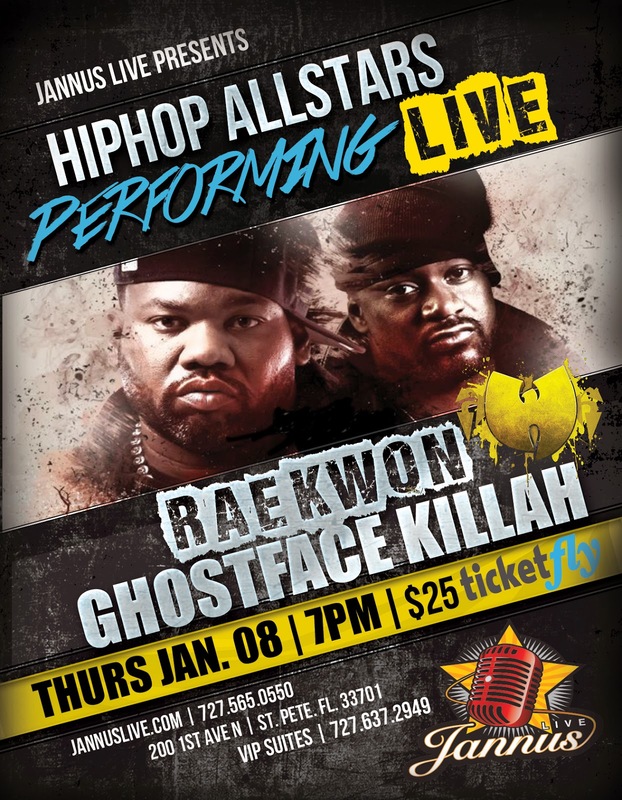 On January 8, 2015, Ghostface Killah and Raekwon performed at Jannus Live in St. Petersburg, Florida. Tickets were $25, but for an additional $15 at the gate you could get a VIP ticket which included a meet-and-greet after the show. I already had a regular ticket since my brother gave it to me for Christmas, so I paid the extra that night to get the VIP access. The VIP area ended up being roped off, so you really didn't get to meet them. If you wanted something signed, you had to hand it to one of their handlers who then passed it on. I should have just waited. A few minutes after getting my signed CDs back, I called out to Raekwon to see if I could get a picture with him. 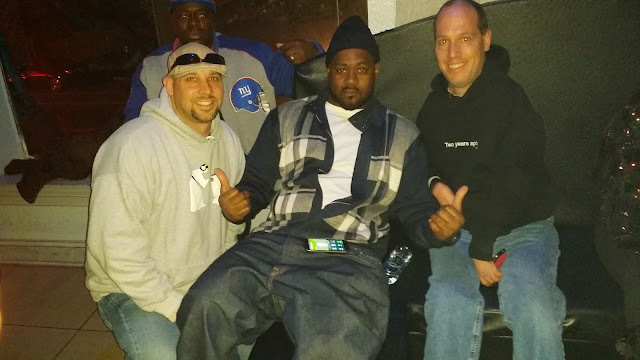 He motioned for me to come on over, so my brother and I were able to get pics with him and Ghostface. 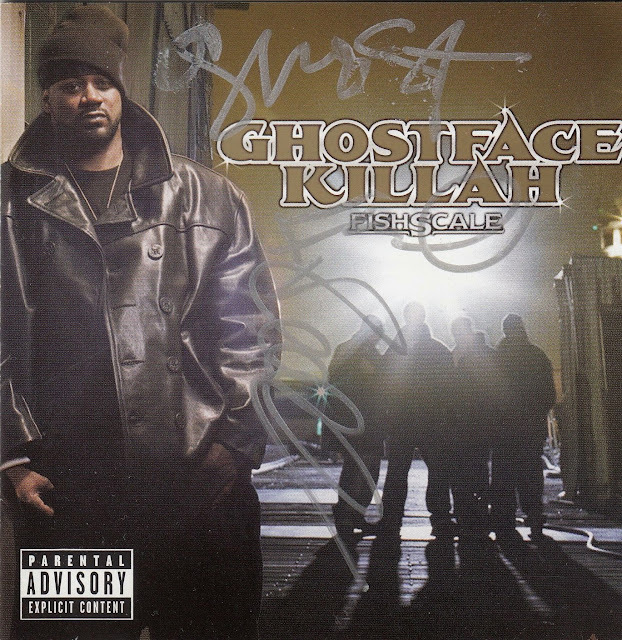 Ghostface signed the cover of his Fishscale CD, which Raekwon also ended up signing.